4:40 Woke up because my daughter woke me. Her nose was bleeding, so that had to be taken care of. 9:50 Breakfast: Yoghurt, banana, cinnamon, corn flakes and a glass of orange juice. My daughter had lunch, but I was in a hurry so I didn’t eat. 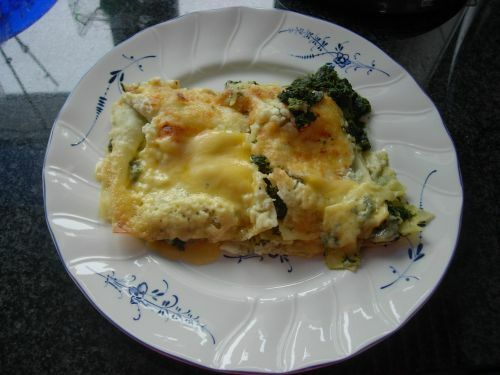 13:50 Lunch: Left over spinach lasagna. 15:05 Walked to my daughters school to pick her up. Stayed out and played with her in the snow for 1 1/2 hours. 19:00 We had late dinner, because my husband was home late from work because of the snow. 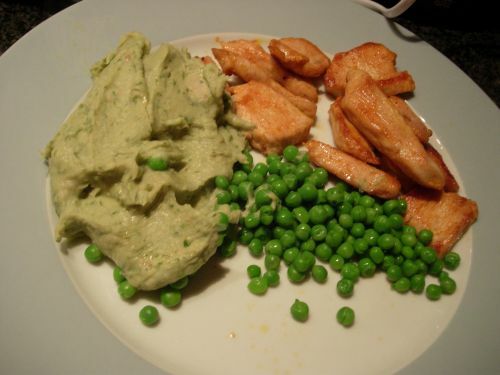 We had chicken, peas and a mash made from white beans and oregano. I had one glass of orange juice. The rest of the day I drank tea and water. 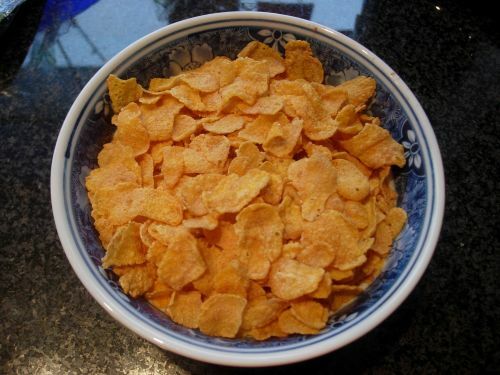 This entry was posted in Challenge and tagged 7 hours of sleep, banana, breakfast, chicken, cinnamon, corn flakes, dinner, lasagna, left overs, lunch, no exercise, orange juice, oregano, peas, played in the snow, spinach, tea, water, white beans, yoghurt. Bookmark the permalink.